A new chapter of Ninja Theory’s DmC: Devil May Cry has just been signed, sealed and delivered, as “Vergil’s Downfall” is now live and ready to be enjoyed. Those willing to look past Dante’s new looks probably didn’t waste much time hacking and slashing through the beautiful world of this reboot, but there’s now a strong reason to pop that dusty old disc back in your console. 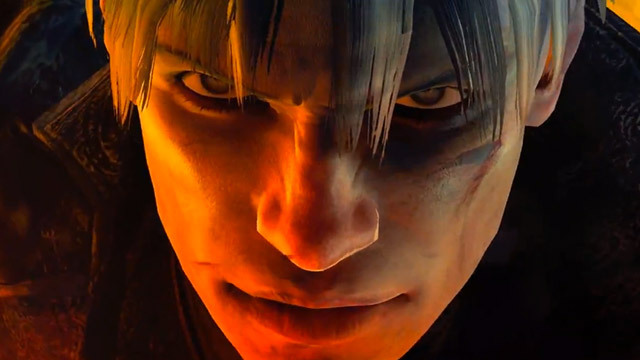 “Vergil’s Downfall” gives players control of Dante’s twin brother and opens up hours of new content. A fresh story, weapons, combos, enemies and locations are all packed into this downloadable package, which is available on PlayStation 3, Xbox 360 and PC. A redemption code for the DLC was handed out at specific retailers and the PlayStation Store in Europe, but everyone else can throw $8.99 Capcom’s way to be reminded of why this game is so damn fun. What did you think of this new take on a classic franchise? Did you like it enough to buy new content? Let us know what you think by leaving a comment below!